Wow! This is just great really, Virgi!! Sorry for myself I don’t understand any French, what did you say on it? Virginie, this is really great 🙂 It looks like a sleeve for a book. What exactly is it? I am curious. It’s in fact a (fake) cover book. I have to do this in my graphic designer class. 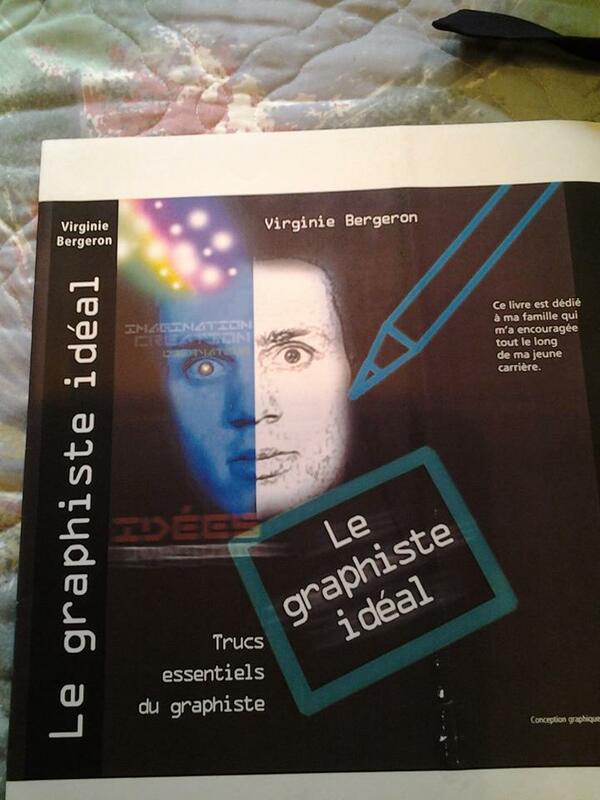 It’s supposed to be a book about some tips to be the best graphic designer. But, the book doesn’t exist. I choose this picture cause Zac with his Wide open eyes looks like to has a flash of genious.